With just a few weeks before the draft, what position do you think the Packers will select first overall? The following Frequently Asked Questions are separated into the following sections: General, Fan Mail/Autographs, Historical, Internet, Lambeau Field Atrium, Lambeau Field and Tickets. What is the Packers' mailing address? Does the Packers organization take phone calls regarding fantasy football? All fantasy football inquiries will be directed to Packers.com, where injury reports and audio of the head coach's press conference are available. How do I get a representative to appear at my corporate or charity event? Please click here for more information and guidelines. Do the Packers donate items to charity events and auctions? What are the official color shades of the Packers? Can I buy Packers stock? No. The Packers have had four stock sales over team history: 1923, 1935, 1950 and most recently in 1997. A total of 4,748,910 shares are owned by 111,507 stockholders (no one person can own more than 200,000 shares to prevent an individual from attempting to take control of the team). Not only are the Packers no longer selling shares, but existing shares may not be resold or otherwise redistributed. Click here to learn more. Is there a Packers fan club? Yes. The Packers Partners Club of Champions was launched in July of 2001. For more information on membership and benefits, click here. Also, for Packers fans under the age of 14 there is the Junior Power Pack. For more information on membership and benefits, click here. Do the Packers have cheerleaders? The Packers haven't had official cheerleaders since 1988, however cheerleaders from the University of Wisconsin-Green Bay and St. Norbert College appear at home games throughout the season. The Packers discontinued their squad of official cheerleaders in large part due to fan indifference. There are no plans to return to official cheerleaders. The Packers hold practices at Clarke Hinkle Field, Ray Nitschke Field or inside the Don Huston Center. All three practice facilities sit in a row just east of Lambeau Field across Oneida Street. Before game days, the Packers generally hold a brief walkthrough practice at Lambeau Field. During training camp, most practices are open to the public and held at Clarke Hinkle Field. A detailed training camp schedule, with a list of open practices, is usually posted in late June. Practices are closed during the regular season. Practices inside the Don Hutson center are closed to the public due to space limitations. Walkthrough practices in Lambeau Field also are closed. The Packers Pro Shop and PackersProShop.com are the only shopping locations where the Packers organization inherits all sales revenue. Revenue from Packers merchandise sold elsewhere -- your local mall, for example -- is shared by the entire league. In other words: Buy from the Pro Shop, help the Packers win. Buy anywhere else, help the Chicago Bears win, too. Where can I send a letter to a player or coach? If I send an item to be autographed will be it returned to me? Autograph requests should be addressed to the individual in question, should include one item that you would like signed and should include a self-address stamped envelope (unsealed) so the player can return the item to you. Do not send items to more than one player in the same envelope. Fans would be wise to say 'please' and 'thank you' in their autograph requests. Players receive fan mail and autograph requests throughout the year, but many wait until the offseason to respond. Fans should remember that players are not obligated to sign or return anything mailed to them. Also, there is always the chance of items being misplaced, lost or damaged, so send any/all items at your own risk. Items are not guaranteed to be returned. Do the Packers forward fan mail and autograph requests to former players? The Packers will attempt to forward mail to former players, as available, but cannot guarantee the delivery of such items. Send at your own risk. How did the Packers get their name? To read about the name origin of the Green Bay Packers, click here. What's the origin of the Packers' 'G' logo? The Packers have utilized a few different 'official' logos over the years, but only one, the current trademark 'G' logo, ever made it to the helmet. The year was 1961, Vince Lombardi's third as head coach. The logo was designed by Packers equipment manager Dad Braisher. I see that the University of Georgia uses a similar 'G' logo. Who used the logo first? The Packers 'G' logo was invented by Dad Braisher specifically for the Packers in 1961. Georgia began using a similar looking logo in 1964. According to Georgia's official website, head coach Vince Dooley "had been impressed with the look of the helmet worn by the Green Bay Packers, which featured the oval 'G' but in a different color scheme. Dooley settled on the black oval 'G' surrounded by a white oval background resting on each side of the bright red helmet. A white stripe was placed over the top." In 1996, Georgia then added a smaller black stripe inside the white stripe. What is the Lambeau Leap and who invented it? Robert Brooks is credited with popularizing the celebratory move, but safety LeRoy Butler is the innovator of the Lambeau Leap -- the touchdown celebration in which the scoring player leaps into the arms of awaiting fans in the stands. Butler 'invented' the move Dec. 26, 1993. Here's how it happened: In the fourth quarter, Los Angeles Raiders quarterback Vince Evans completes a second-down swing pass to running back Randy Jordan, who takes the ball to the Raiders' 40-yard-line before Butler forces a fumble that is recovered by Reggie White at the Raiders' 35. After running with the ball for 10 yards, White lateralles it to Butler, who runs the remaining 25 yards into the end zone and then makes a spontaneous leap into the arms of fans in the south bleachers. The Packers go on to win 28-0 to clinch what would be the first of six consecutive playoff berths. Who was involved in the trade that brought Brett Favre to the Packers? Packers acquire 17th overall pick of 1992 draft in trade with Philadelphia Eagles ... Packers trade 17th overall choice to Atlanta Falcons for Brett Favre, who is coming off his rookie season (2 games, 0-for-5 passing, 2 interceptions) ... Falcons trade back two places with the Dallas Cowboys, coming to own the 19th overall selection of the 1992 draft ... With the 19th selection, Falcons draft running back Tony Smith, a former teammate of Favre's from Southern Mississippi ... Smith is the second running back selected in the draft after Stanford fullback Tommy Vardell (9th overall) ... Smith goes on to play three NFL seasons with the Falcons (87 carries, 329 yards, 2 touchdowns; 56 punt returns for 485 yards, 0 touchdowns; 61 kickoff returns, 1,453 yards, 1 touchdown) ... players Atlanta missed drafting by trading back two spots: Texas A&M; cornerback Kevin Smith (17th) and Washington defensive back Dana Hall (18th). What's the best way to contact someone about this website? Can I listen to Packers games over the Internet? Starting in 2003, the NFL launched a subscription audio/video service called NFL Field Pass. Because game broadcasts are included in this service, Packers.com cannot offer free links to the game broadcasts. However, links to NFL Field Pass are available on Packers.com, with broadcasts beginning 30 minutes prior to kickoff. To learn more about NFL Field Pass, click here. To listen to a game broadcast, access the appropriate Gameday page and find the link within the Live Game Coverage box. Listeners will need to use the latest free version of the RealOne audio player. Can I email Packers players or coaches? No, but you can write letters to them (see above to get the mailing address). You can also participate in Live Chats, which happen throughout the season. The Live Chat section of Packers.com can be found under Fans. I was the winner of your Packers.com trivia contest. When can I expect my prize package? Winners of the Packers.com weekly trivia contest will receive their prize package in approximately 6-8 weeks. I signed up for the Packers Partners Club of Champions, but I can't get into the message board. What's wrong? Probably one of two things: Either your membership has expired and you need to renew, or -- if you've just signed up -- your name hasn't been logged into the system. This usually takes just a day or two. No longer than a week. I signed up for Packers.com eNews, but I don't want it anymore. How do I unsubscribe? Just click here to go to the eNews page and find the link that says 'unsubscribe.' You can also find this link at the bottom of your eNews newsletters. I'm out of town and want to watch a Packers game, where should I go? Packers.com operates a Where to Watch listing for fans that want to get together to watch the games. Phone numbers are available for all entries and we suggest that you call ahead to be sure that the game will be televised as advertised. If you find a new place to watch a game, you can submit it to Packers.com and we'll add it to the list. Likewise, if an establishment listed on Packers.com goes out of business or no longer shows Packers games on TV, please submit that with a note to have it removed from the list. The success of this database relies upon our fans. Click here to get to the Where to Watch page. Why does Packers.com release signings sometimes a day after I've read about them elsewhere?  Packers.com posts signings as soon as they are announced by the Green Bay Packers organization. Sometimes other media outlets report that a player has agreed to terms, or is about to sign, but that doesn't mean the player is under contract. The Packers do not announce signings until the contract has been inked. When you read it on Packers.com, you know the deal has been completed. Who are the players included on the homepage banners for Packers.com? What is the Lambeau Field Atrium? When is it open? For all questions regarding the Lambeau Field Atrium click here. What is Curly's Pub? When is it open? For all questions regarding the�Curly's Pub click here. Where is the Packers Hall of Fame? When is it open? For all questions regarding the�Packers Hall of Fame�click here. Click here to see the Lambeau Field A-Z guide. Can I take a tour of Lambeau Field? Yes! For information on Lambeau Field's exclusive stadium tours click here. Where does the term 'Frozen Tundra' come from? No one knows for sure who coined the term, but it's been attributed to NFL Films narrator John Facenda. Facenda is believed to be the first to call Lambeau Field the Frozen Tundra in reference to the legendary Ice Bowl, December 31, 1967, when the turf actually froze because of temperatures that were minus-13 degrees at kickoff, with a minus-46 wind chill. What kind of grass is installed at Lambeau Field? The turf at Lambeau Field is a Kentucky bluegrass surface, on top of a 3-5 inch soil foundation (Level 2), covered with 8-inch holes filled with sand, to maintain the grass during rain and snow. Level 3 has 10 inches of sand; on top of a heating pipe network. Level 4 is a 4-inch base of pea gravel. How long has the ground included heating coils? Vince Lombardi first installed heating coils underneath Lambeau Field prior to the 1967 season (the system failed during the Ice Bowl). In 1997 the original system was replaced by more than 30 miles of radiant heating pipe, which maintains a root-zone temperature of 70-plus degrees during winter months. How long is the waiting list for season tickets? How do I sign up? The season ticket waiting list has more than 57,000 names. The Packers tell fans adding their names that the average wait is 30 years. To get your name on the season ticket waiting list, click here. The Packers don't sell single game tickets. If you're not a season ticket holder, but would like to acquire tickets to a Packers game, contact Packer Fan Tours. Copyright © 2005 Green Bay Packers, Inc.